Limit(less) is a photography project Mikael Owunna exploring and showcasing LGBTQ 1st and 2nd generation Africans through photography and interviews. I spoke to Mikael, the Nigerian-Swedish photographer and writer about his innovative project. What were your main motivations behind Limitless? There were three primary motivations for me, personal experiences, media representation and decolonising Africa. Growing up I did not feel like being queer and Nigerian were identities that could coexist. I was outed by my sister at 15 years old and that sparked a series of difficult situations with my Nigerian family. The first thing they did was send my laptop to the FBI (Federal Bureau of Investigation) to find out who had recruited me into homosexuality. Growing up my family and I would visit Nigeria once or twice a year and when I was 18 they put me through a series of exorcisms. Priests and traditional healers were trying to “wash the devil out of me”. I felt invalidated after that experience and fell into depression. My family telling me that I couldn’t be queer did not help with the lack of media presentation. If your family is telling you that you cannot be queer and African and you look at the media and it’s mainly white cisgender men then the mainstream LGBT community is telling you that you cannot exist so there are no mirrors that exist for queer Africans. After college I went to Taiwan to do a photography project and when I came back I had not lived at home since middle school. I felt pressure to conform to change myself and like I had to squash my femme identity and who I was. One day I visited the Carnegie Museum of Art in Pittsburgh with a friend and there was a photography exhibit about black lesbians in South Africa by Zanele Muholi. I was so moved by the work and I realised that I had never seen any images of queer Africans especially by queer Africans. It sparked a hunger in me and I wanted to connect the dots in the diaspora and that’s why I started this project. It was not only to fill that representational void but to decolonise our notions of what being African is. There is this binary that says you cannot be LGBT and African but also the colonial narrative that has been shaped overall that says that Africaness is a very homogenous identity. I think we really need to challenge these ideas that if we actually look at history we know that these are all false. We have been brainwashed to think that LGBT people do not exist in Africa and being LGBT is un-African. It is better to accept a limitless and diverse view. Africa is the most genetically diverse continent on earth but we try to limit ourselves, being African is about abundance and that’s part of the work. It’s about extending the view and the vision of what being African is beyond the colonial narrative that limits us so much. What do you think makes the African LGBT+ experience different? The main difference is in the history. Intersectionality, there are overlapping identities, white LGBT people do not face the same experiences as black LGBT people. We deal with not only being black but also in some cases being immigrants. There is a specific history of colonisation by white people which has impacted our experience as black LGBT people. I think the differences within the black diaspora are interesting, there’s a little more finesse there. In the Victorian era they policed sexuality and thought about the black body in a very sexual way. One idea that was propagated was that black people were so primitive that we were only capable of the natural heterosexual impulse. I think that has spread beyond Africa but that line of thinking was around the time of African colonisation. I also think that the specific history of slavery in the West Indies and Americas makes the experience very different to one in Africa. Being LGBT and black in a slave society looks different on the continent. There are cultural differences because black people are not uniform. 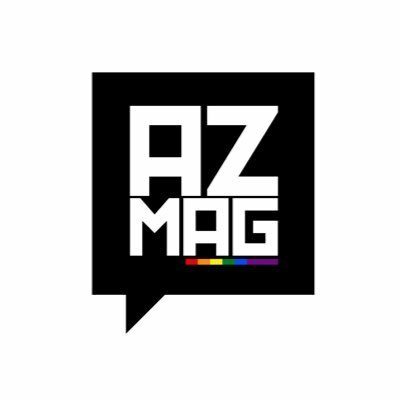 What have your personal experiences been navigating LGBT spaces? Mainstream LGBTQ spaces in the west I’ve found to be incredibly white, cis male dominated and very antiblack, sexist and transphobic. How many white gay men do we all know who love to say that they have a “sassy black woman” INSIDE of them? That coupled with what ranges from outright “no blacks” sentiment on apps like Grindr to disgusting fetishization – “BBC plzzz!!! !” – really captures the mainstream LGBTQ community in a nutshell for me. It is not only basic, but violent. So many Pride events, that were founded as radical spaces by QTPOC and led by TWOC like Marsha P Johnson and Sylvia Rivera in particular, have been turned into a festival of the fit white cis male body funded by banks, oil companies and nonprofits wreaking havoc on poor black and brown communities across the world. I don’t see myself at all in these spaces that celebrate the “Will & Grace” style assimilation of white gay people into the white supremacist corporate mainstream. Black gay spaces – which I differentiate from black queer spaces – also have major issues particularly with colourism, misogyny, femmephobia and transphobia. So much of my own experience in these spaces has been defined by my light skinned and class privileges but also deep set femmephobia that devalues and disregards me as a black queer femme. The obsession with masculinity within the community – especially since black men are already hyper-sexualized and hyper-masculinized by the white supremacist gaze- is exacerbated further in the black gay community. It is incredibly toxic and destructive and hurts all of us. Where I find my life though is in queer black spaces especially with other black queer femmes. It’s not to say that there aren’t issues there, but it is where I feel most at home and peace and not like my various identities as a black queer femme are constantly under assault. How willing are people to get involved? I started the project in 2013 and it was not easy to find people who wanted to be involved because, the networks are really connected; you have to find a way in first. I basically posted on Tumblr and emailed different organisations for months on end. I was able to find forty people to discuss the work with but that took several months, many people were not comfortable with being out in public. It is easier to find people now because the work is being shared on social media, it is being spread. It has become easier to find participants in America. Finding people in Canada was harder because of the different communities but I found one person and was able to take it from there. It took months to find someone in Sweden but I made a connection with a Norwegian girl and she connected me to a group who were able to help me find LGBT Africans. Are there any plans on expanding the project to South America, Europe and Asia? I would love to bring the project to the UK and Europe and take it across the world but funding makes it difficult do that. Money is my main issue, I raised $3,000 (approximately £2,294) with a GoFundMe page but most of that money has been spent and I am self-funding the project. One of the other challenges would be finding 1st and 2nd generation Africans specifically but if I found people, I would love to do it. I shot two people in Trinidad and that was an amazing experience. What have you learnt since starting the project? It has definitely been a big journey for me, the biggest thing has been learning how to be comfortable with being African and queer. I started this project because I feel a deep sense of fragmentation about being queer and African, I’ve been very depressed about that in the past. I have been trying to find a space for healing and it has been really empowering to capture positive narratives about LGBT Africans, anything that you usually see about LGBT Africans is negative. I feel so much more comfortable with myself and connecting with black femmes has helped with that. I am also shocked at how friendly people can be, being able to create positive relationships with other black queer men especially has really opened my eyes. I draw my inspiration from African and Black photographers, those are the people that inspire me the most. When I started this work I was directly inspired by Zanele Muholi. My favourite photographer is Seydou Keita, who was a Malian photographer in the 1950s. Samuel Fosso is incredible. I think that standing in that African tradition has been important for me specifically being an African photographer especially being queer. Carrie Mae Weems is incredible and was one of the inspirations for one of the shoots in Trinidad, I drew inspiration from her “Kitchen Table Series.” Gordon Parks, Roy Decarava, James Van Der Zee from the Harlem Renaissance. The tradition of black photography really inspires me. Do you prefer photography or writing? I prefer photography, I have a blog and I was writing about race and intersectionality. I felt like the discourse became repetitive and my writing started to take a typical mould. With photography I feel like I can create new worlds that did not exist before. I am interested in creating a new vision of what a black LGBTQ body looks like.